I have to admit, I had a severe case of lip envy when I saw Laura from Laura etc wearing this exact shade, Pink Pong from Bourjois from the new Bourjois Rouge Edition Velvet range. So when last week it landed on my desk from the lovely Bourjois PR in Dubai I was delighted. Here's the low down. 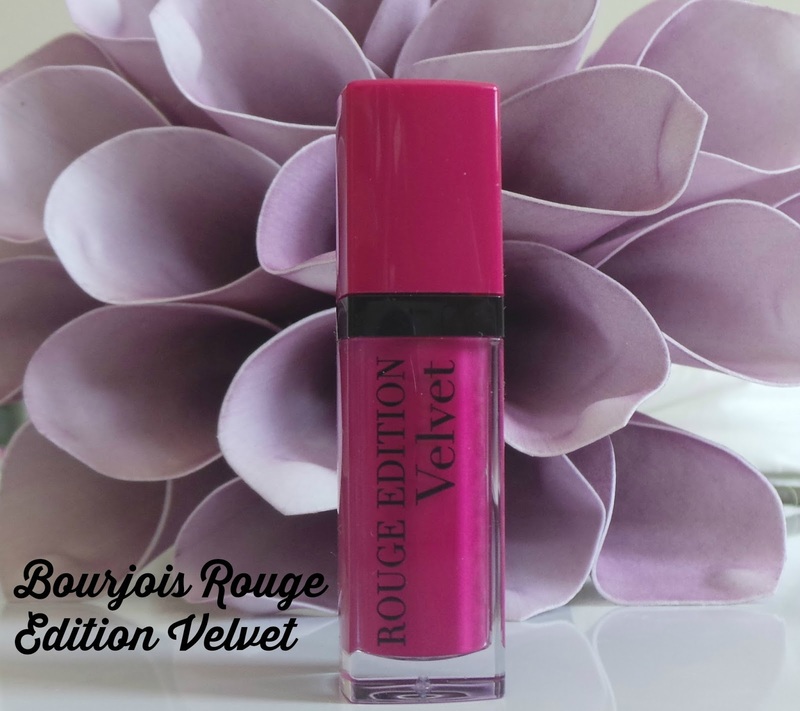 Bourjois say this newest launch is a matte, velvety yet lightweight colour on the lips without drying or fading. I just can't disagree with their description! Because I have been unwell recently I had been left with lips that were drier than the desert and I was really put off trying any liquid lipstick because I find them to be so drying and hate that tight, pulling feeling on the lips. Since these have launched people have been raving about them but I also found that people raved about the Hourglass Opaque Rouge Liquid Lipsticks and my experience with them was bad. Very bad. Imagine colour actually peeling off your lips. Now that my lips are more on an even keel I decided to give the Bourjois a go. I honestly don't think I own a lipstick quite like it in terms of texture. It actually feels velvety when you apply it but at the same time almost water like and SO pigmented. I find that the applicator wand dispenses just the right amount of product to cover my lips and I picked up a tip from Antonia at A Bit of Mac and Cheese and blotted the first layer and then reapplied a second layer. As soon as I got to the office a girl came up to me and said 'what is on your lips, I need to go and buy it'-she was so surprised it was from Bourjois! I can honestly say this liquid lipstick offering from Bourjois is super-it's not drying at all, I topped up the colour after 6 hours and I still had a light stain on my lips. It didn't bleed or smudge or get on my teeth. If you want long lasting, genuinely comfortable, matte lips then I can't recommend these enough!